In the case of an auto accident, worksite accident, medical malpractice, or physical attack, personal injury is always a concern. Personal injury can have a great impact on a person’s quality of life as well as their physical capabilities. A brain injury is likely to have long-lasting effects and can alter a person’s mental, emotional, and physical state. These changes are often life-altering and almost always result in a person needing long-term medical care and having to depend on a loved one for personal care. Attorney Larry S. Buckley understands the consequence of a brain injury and routinely takes on brain injury cases. Here, we discuss with our Sacramento clients the types of brain injury that may occur and how they can permanently affect a person’s day-to-day life. Concussion: A concussion is the most common type of brain injury and can be caused by a direct blow to the head or a shaking or snapping motion of the head or neck. Concussions may result in a loss of consciousness, dizziness, or headaches. Some people may recover from a concussion in a few hours, while in other cases it may take several weeks, or even months. When a person has a concussion, the brain is especially sensitive and vulnerable to further damage, so it is important to take precautions while recovering from a concussion. Contusion: A brain contusion describes a bleeding of the brain. Brain contusions are most often caused by a direct blow to the head and can result in memory loss, difficulty focusing, emotional disturbances, difficulty with fine motor skills, and/or altered speech. Depending on severity, a brain contusion may heal on its own, or may require surgical treatment. Diffuse axonal injury: A diffuse axonal injury is one that occurs when the head is strongly shaken or rotated. This may result in tearing of nerve tissue throughout the brain. 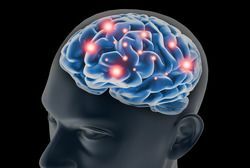 People who suffer from a diffuse axonal injury may suffer from functional impairment, brain damage, coma, or death. Traumatic brain injury: A traumatic brain injury can be caused by a severe blow or force to the head (a closed brain injury), or a penetration of the brain (an open brain injury). This type of injury can cause emotional, cognitive, and/or physical damages that are likely to be lifelong. Any type of brain injury can have serious, life-altering consequences. If you or a loved one has suffered from a brain injury due to the negligent or reckless behavior of another person or party, schedule an appointment at your earliest convenience to learn about your legal options. Attorney Larry S. Buckley and his team are experienced in such cases and can help you receive fair compensation for damages suffered. We look forward to hearing from you.